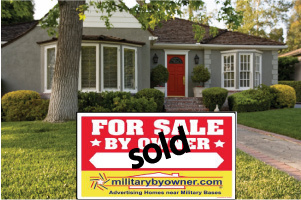 You know that MilitarybyOwner is the absolute go-to place for real estate necessities such as buying, selling, and renting. But, did you know MBO is partnered with amazing resources to offer the chance of a less stressful relocation? They can help prepare for scenarios such as choosing the right neighborhood for your family or providing the confidence the best tenants have been found for your rental home. 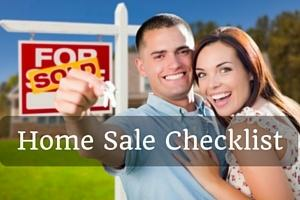 A successful move can also mean proper legal documents and mortgage lenders who know everything about VA Loans. Luckily, MBO has just the options to satisfy all of these needs.Military Town Advisor, Veterans United, US Legal Forms, and SmartMove all provide the “something extra” that quells typical worries during a PCS season. Take a peek at what these resources have to deliver for saving sanity and money along the way! Much of the nervousness before a pending PCS is based on not knowing the area near the next duty station. 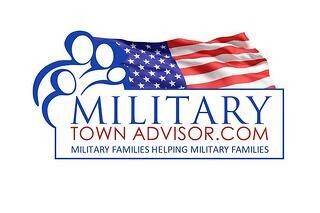 Military Town Advisor was created to arm movers with in-the-know information for their next location. MTA supplies accurate, logical, and detailed information for many locales that are frequented by military members. Topics include housing for both on and off base, neighborhood/school reviews, and things to do and explore while living in your new city. Because the information is written by fellow military families who “pay it forward,” you can bet their opinions are likely spot on because they understand your trepidation and want to share their experiences to make your time there better. MTA was created by a military spouse who saw a need for information and got busy collecting tons of useful tips so you wouldn’t have to! If this duty station is right the time to buy a house, than consider Veterans United as the first stop for researching VA Loans. MilitaryByOwner has partnered with Veterans United to supply a mortgage calculator to begin reviewing the finances required to make a home purchase. After the simple form has been processed, a loan specialist will quickly contact you with guidance on how to begin the mortgage procedures. 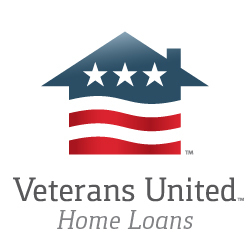 Veterans United is dedicated to supplying servicemembers with all the information they many need to feel comfortable navigating the detailed methods for applying for a loan. Just a few of the subjects thoroughly explained are: the benefits of a VA loan, eligibility requirements, and features for first-time buyers. There is much more to be explored, so join the thousands who have been aided by Veterans United’s expertise. Your family will feel confident in making this first step toward a future in homeownership. Part of the uneasiness of buying, selling, or renting a home is the overwhelming stacks of expensive paperwork that lie ahead. US Legal Forms was established by attorneys and designed to easily put legal paperwork into the hands of people who need them when considering large decisions such as real estate transactions. Although MBO has teamed up with USLF to administer reasonably priced real estate packages for state-specific contracts, USLF also is a leading provider of legal documents for other significant milestones in life such as Last and Living Wills, Powers of Attorney, and business startup documents, in addition to many others. Using services from US Legal Forms can ultimately serve as peace of mind during significant life changes. Because of the transient nature of a military lifestyle, its likely servicemembers will consider becoming landlords at one point during their careers. MBO chose to work with SmartMoves to afford customers with convenience, simplicity, and confidence while conducting tenant screening. Landlords enjoy the speed and thoroughness of the screening, and tenants appreciate how information is securely and quickly administered, making the rental process far less intrusive. Property owners can expect to find detailed reports on criminal, eviction, and credit activity for potential tenants. Renters benefit from secure online access and the fact that SmartMove inquiries do not affect credit scores. Ultimately, however, both parties are pleased with the additional assurance and protection achieved by participating in the SmartMove process. MilitaryByOwner is proud to offer these four great services to their customers in addition to an impressive and searchable inventory of homes available throughout the country. This, of course, is in addition to the outstanding customer service available for their clients’ needs!